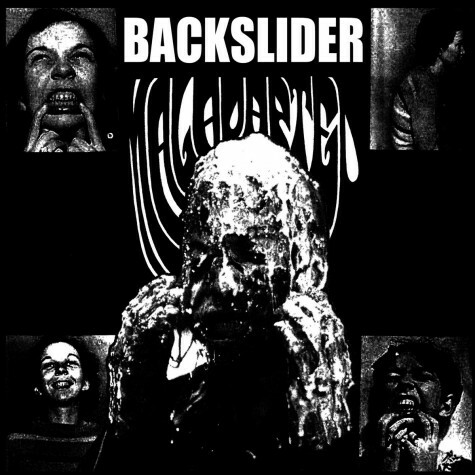 BACKSLIDER return with another 7" of blasting upset-powerviolence. Comparisons have been made to not only to LACK OF INTEREST and NO COMMENT but also to the MELVINS and SLEEP. This Philly based two piece outfit mixes the best elements of early 90's Slap A Ham fastcore and the harshness of US sludge/violence. Great!